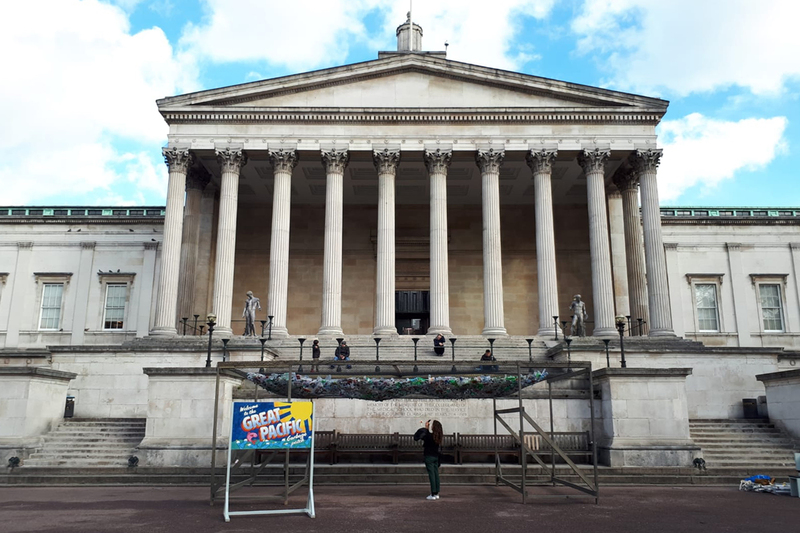 We were commissioned by UCL to create a large scale installation in the in historic library courtyard in central London. 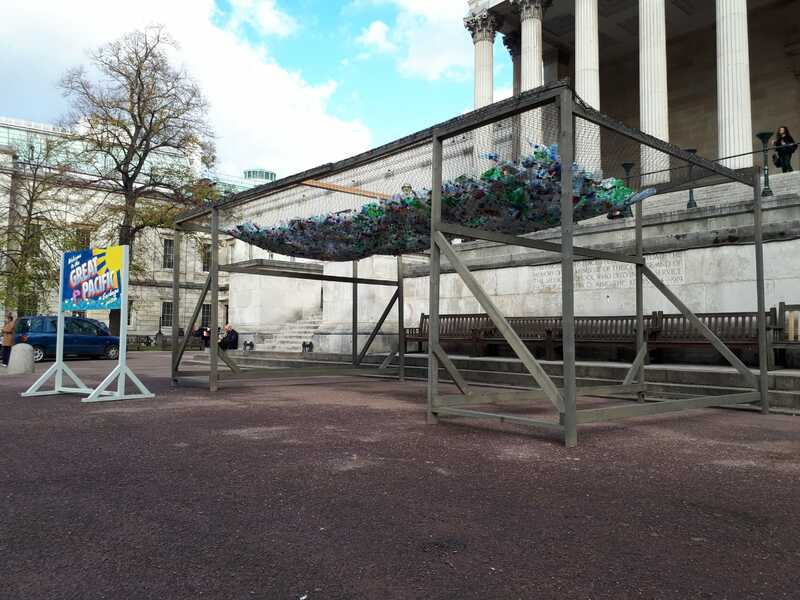 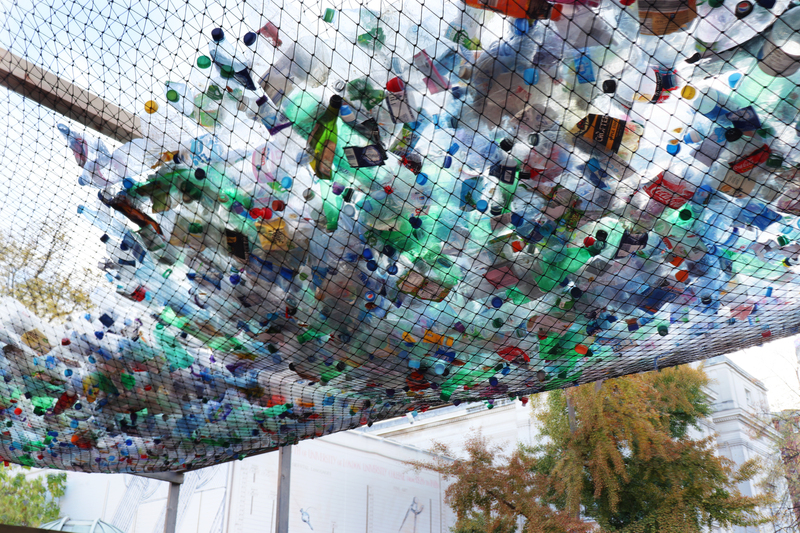 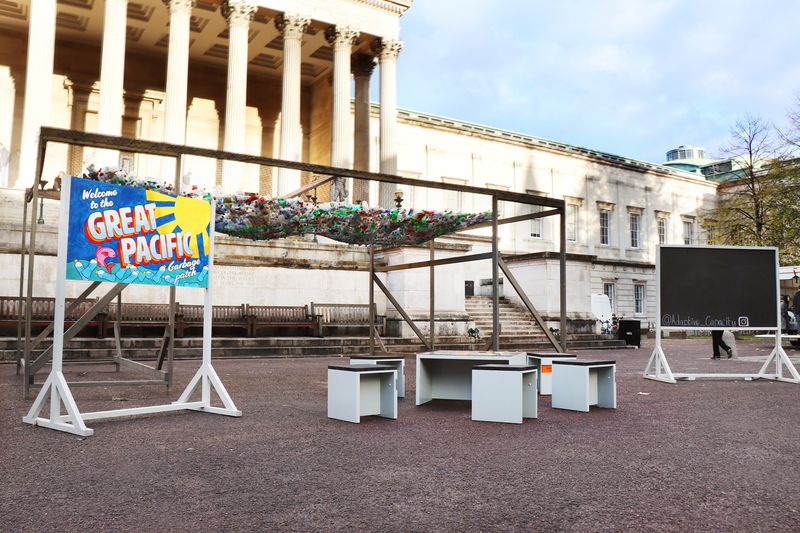 For this installation, we raised awareness of plastic consumption by recreating a part of the Great Pacific Garbage Patch; suspending bottles reserved for recycling in a huge canopy that you can walk underneath. 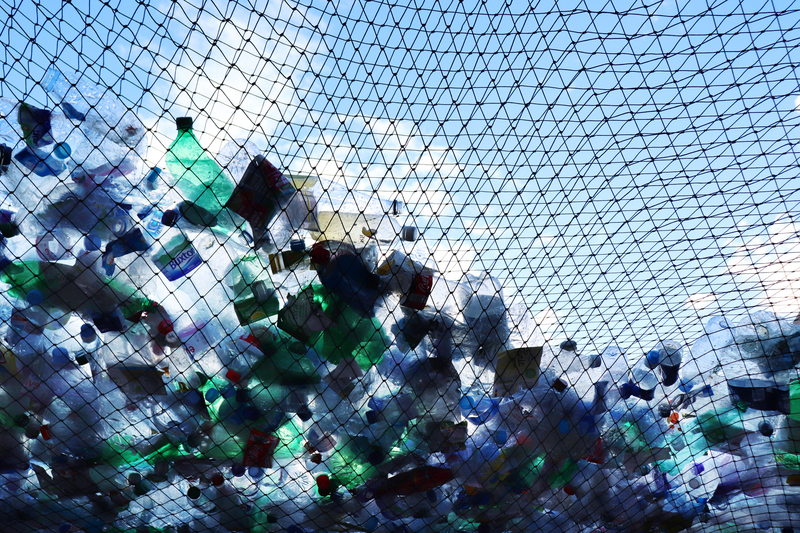 The fishing netting that holds the used plastic supports the plastic in a wave-like form that imitates the flow of plastic on the oceans surface. 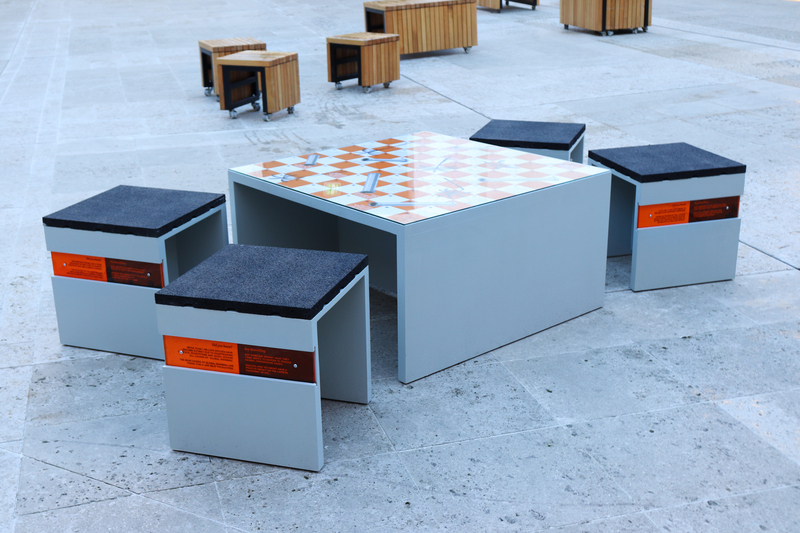 We also hand-built an outdoor seating area which centred around a giant game of Pipelines and Palm trees (like snakes and ladders). 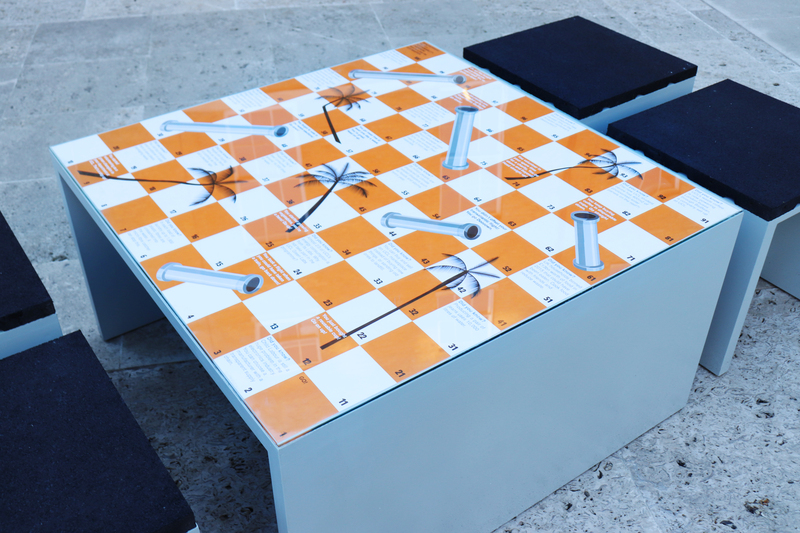 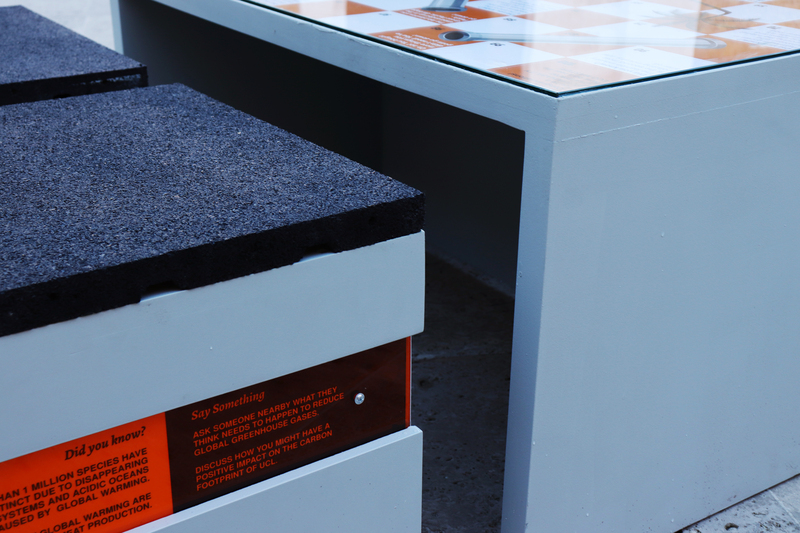 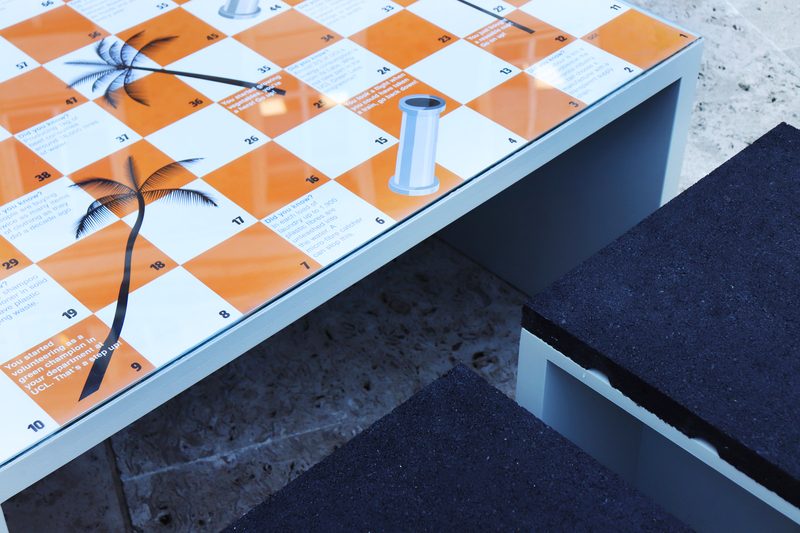 The board game provided accessible information during play, with the aim of the game being to navigate personal eco wins and losses to win the ultimate title of eco champion. 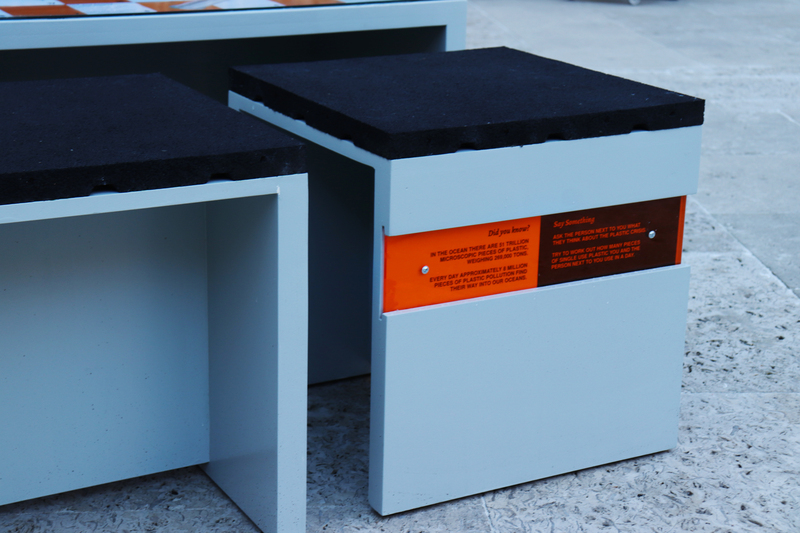 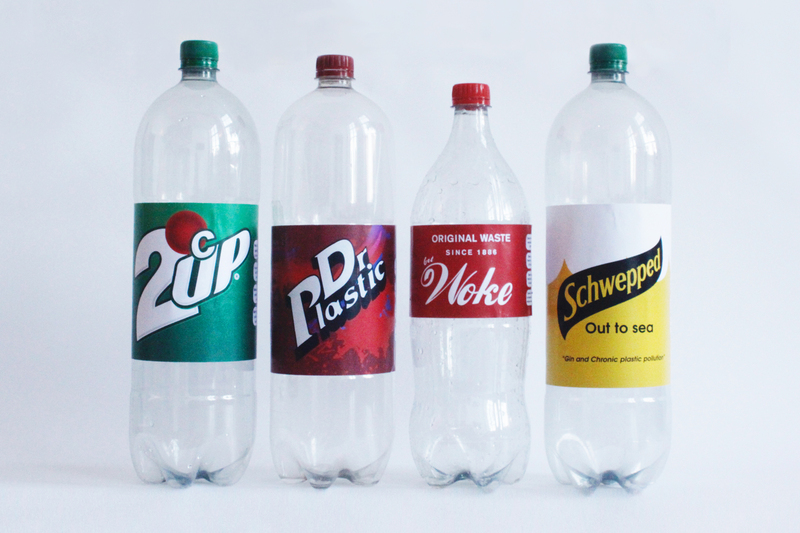 Set into the seats were conversation starters to encourage visitors to initiate difficult topics in an engaging way.